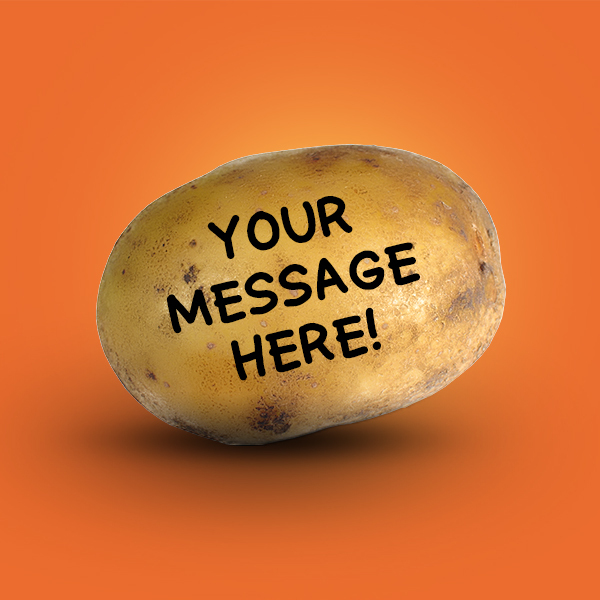 Send a personalized message on a potato to anyone in the U.S. Please order 1 potato at a time if purchasing multiple potatoes that are going to different shipping addresses. Please order our other product Potato Face, Potato Postcard. NOTE: You (the purchaser's) shipping address will not show up on the package. If you would like to let the recipient know that the package was sent by you, please leave your name in the message. Upload the picture of the face you would like us to use. 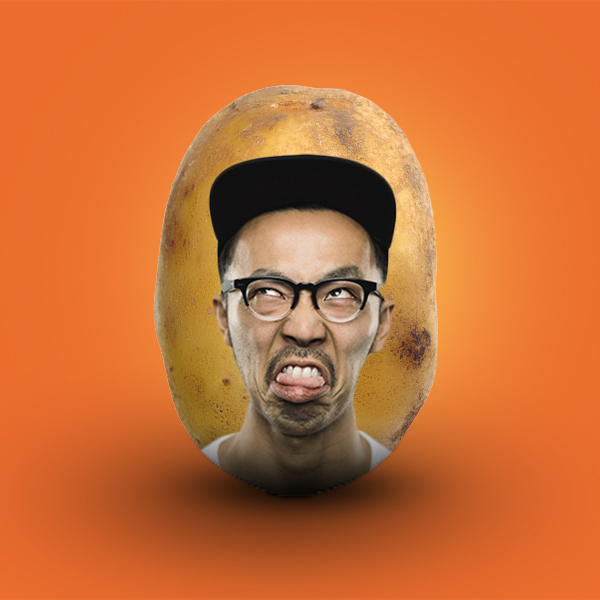 If you would like to upload more than one face, Please order our other product Potato Message, Potato Postcard. Please order 1 potato at a time if purchasing multiple potatoes that are going to different shipping addresses. 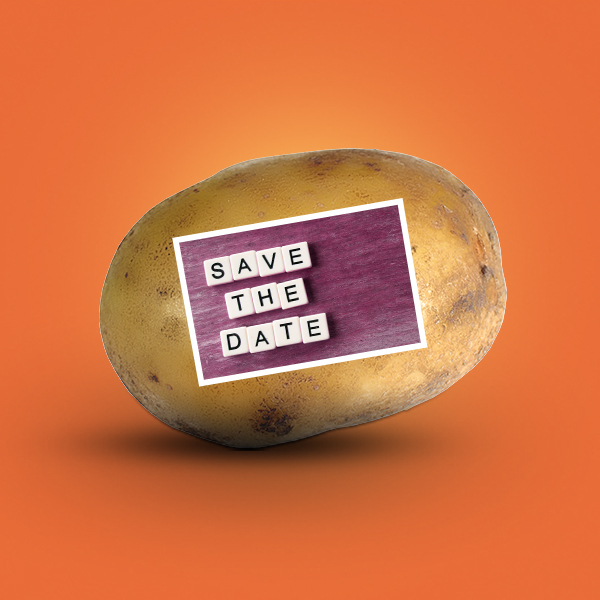 Upload an image to create a potato postcard to send to anyone you would like! Please order our other product Potato Face, Potato Message. Please order 1 potato at a time if purchasing multiple potatoes that are going to different shipping addresses.